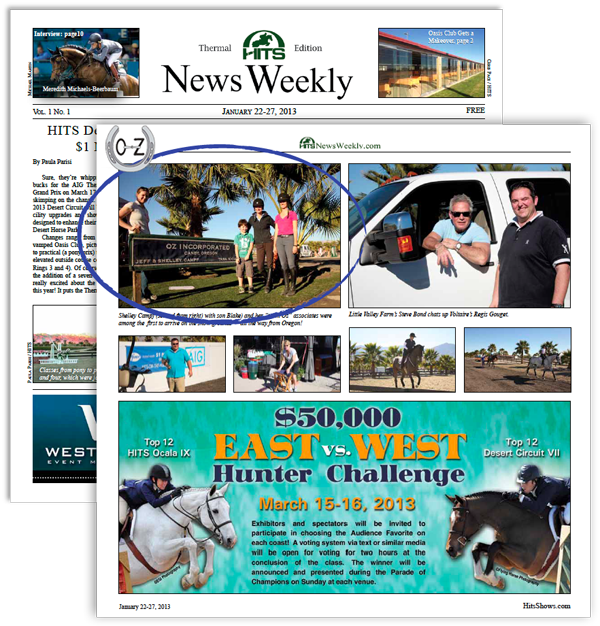 In each region, the WCHR designates several horse shows that will count toward their year-end rankings. 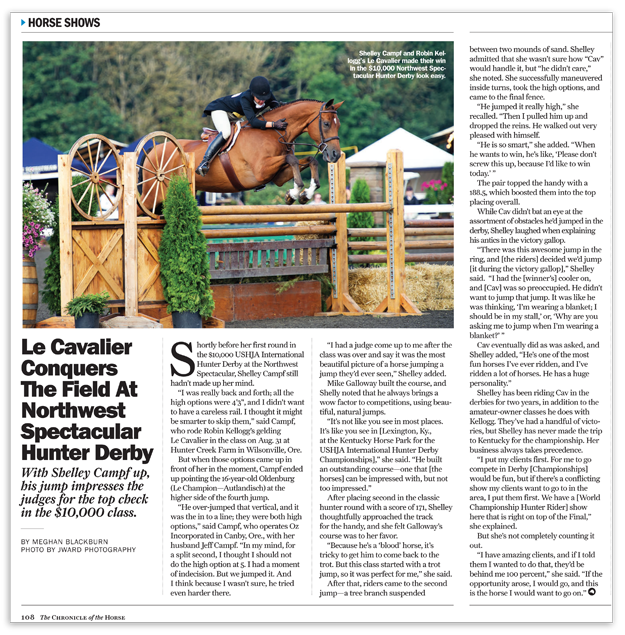 In the Northwest Region, we attended the following WCHR events: the Spring National Hunter in Monroe; the Pacific NW Hunter & Jumper in Monroe; the Early Summer Classic in Wilsonville; the Oregon High Desert Classic II in Bend; the Thunderbird Showpark Summer Fort Festival in Langley; the Northwest Spectacular in Wilsonville; and the Northwest Autumn Classic in Monroe. 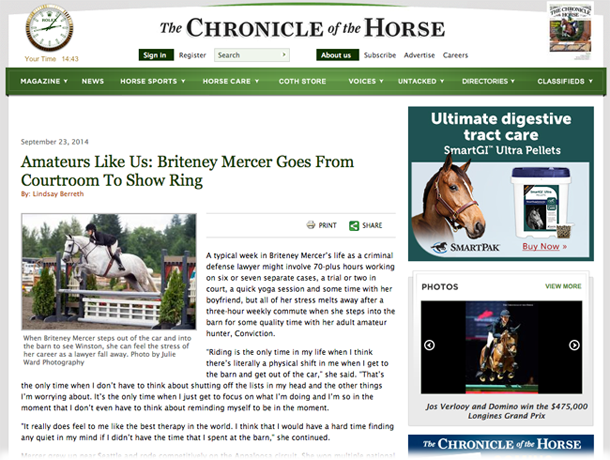 Of these shows, the WCHR tabulates point-earnings from a rider’s four best shows on a single horse. Congratulations to all of our WCHR participants this year! With the close of the circuit comes the presentation of both the 2nd Half Circuit and Overall Circuit Awards. Congratulations to everyone recognized! I know it seems to be a common theme, but we cannot thank you all enough for contributing to such a wonderful team. 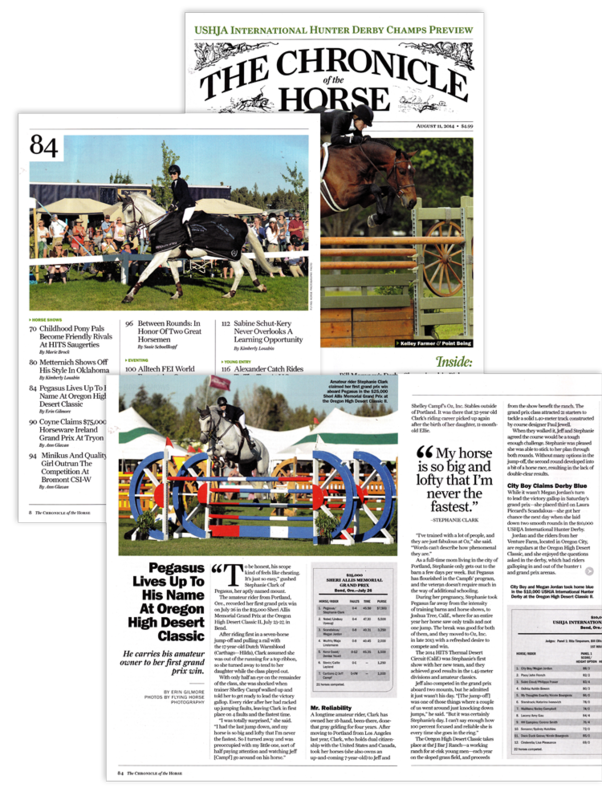 2014 was another brilliant year for Oz horses and riders; We got to watch several new partnerships develop, goals defined, and milestones crossed. We’d like to offer our congratulations to our year-end award winners. It’s a very gratifying thing to see all your hard work paying off! 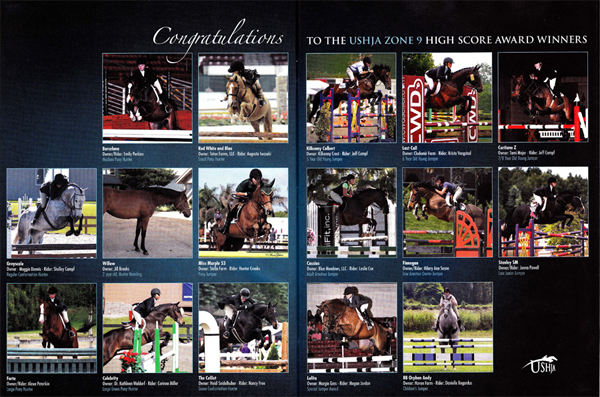 Go grab the March issue of In Stride Magazine and check out all the winners from Zone 9 for 2012! Congrats to Pirouette and Shawna Dash, Perseverance and Diane Laycoe, Exposure and Alexandra Zell, Rendition and Lexie Grant, Katherine Dash’s Puppet and Shelley, Wembley and Alexandra Ulmer, Padarco Dolce and Bailey Smith, Barcelona and Emily Perkins, Maggie Dennis’ Greyscale and Shelley, Cassius and Leslie Cox, Kilkenny Crest’s Kilkenny Colbert and Jeff, and Tami Majer’s Cartiano Z and Jeff. 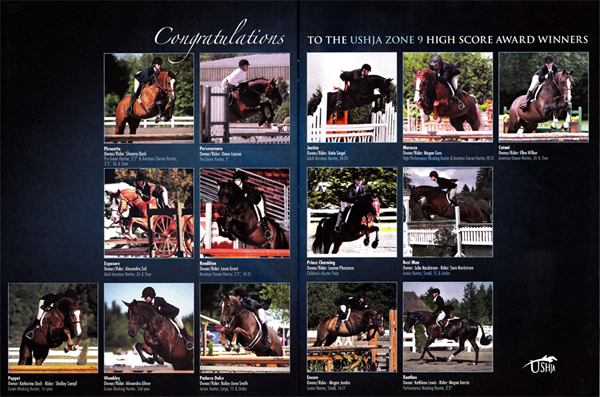 Shelley Campf was named 2009 USHJA Volunteer of the Year at the recent USHJA Annual Meeting in St. Petersburg, Florida. Yahoo!